Toby Gee has represented insurers and their insureds in many disputes and at mediations ranging from the modest to multi-million dollar claims. He has acted in claims and disputes relating to earthquake, fire, employers’ liability, professional liability, cyber risks and motor policies. Toby has represented insurers in policy disputes arising out of issues such as alleged fraud, and material non-disclosure, as well as the interpretation and application of exclusion clauses, breaches of general and special conditions, and other policy terms. In 2014 Toby devised, and then edited and wrote articles for, Cover to Cover, a quarterly magazine for the insurance industry published by MinterEllisonRuddWatts. Alongside that, he co-ordinated and led quarterly round table discussions for insurers and brokers, on a wide variety of legal and commercial topics affecting the insurance industry. The Insurance Council of New Zealand has recognised these initiatives as making a unique and valuable contribution to the New Zealand insurance industry. Toby has been recognised by the Legal 500 Asia-Pacific in the field of insurance. Toby Gee has broad experience of acting in business disputes, ranging from simple breach of contract claims to disputes relating to complex transactions and commercial relationships between companies of national significance, involving multiple parties and causes of action, and/or complex or novel legal issues. Toby has long experience in claims against professionals across a wide spectrum of professions, including surveyors, accountants, solicitors, insurance brokers, estate managers, structural and civil engineers, electricians and designers, and has acted in cases ranging from complex multi-million dollar disputes to small claims and professional disciplinary matters. Toby Gee has acted for many plaintiffs, manufacturers and insurers in a wide variety of product liability claims. This includes both medical and non-medical products, and the safety of specific consumer goods, for example medical equipment, electronic agricultural/outdoor equipment, electronic and mechanical industrial components, raw materials in industrial processes, commercial and private vehicles, domestic appliances and other household products. Toby has long and extensive experience both here in New Zealand and in the UK, in dealing with a multitude of cases relating to injury, illness and the medical issues relating to them (including professional standards), from the simplest traumas to catastrophic injuries including spinal and brain injury, pre-natal and peri-natal injury, late/failed diagnosis in children and adults, and a wide variety of medical and surgical fields. Since 2014 Toby Gee has developed significant expertise in relation to cyber risks. His articles on cyber risks have appeared in Cover to Cover, Australasian Lawyer and CIO Magazine. He has led seminars and workshops on cyber risks, how to manage them by way of insurance and good governance, and on their legal impacts. He has appeared on expert panels in relation to cyber risks for the Insurance Council of New Zealand and the National Cyber Policy Office. In 2016 he was appointed as a cyber breach coach for two insurance companies, and was instructed to advise an insurer in relation to a privacy breach of one of its insureds, relating to some tens of thousands of personal data records being hacked. Toby Gee has acted for both employers and injured people in claims arising from a huge range of work-related injuries and diseases, and work-related deaths. He has advised banks and other large and medium-sized entities, including Z Energy and Mighty River Power, in relation to the interpretation of numerous provisions of the Health and Safety at Work Act 2015, and as to devising and implementing systems required to address that Act. He has acted in relation to health and safety investigations/prosecutions, and has advised banks, manufacturers, commercial landlords and schools as to the management of asbestos risks. Toby has also delivered seminars and workshops for industry representatives and in-house counsel on several health and safety issues relating to the new health and safety law. He has also written about the effect of findings of liability on beneficial activities, and the effect of changes to the Sentencing Act on reparation orders and how they relate to the ACC scheme. Toby is a strong believer in the merits of mediation as a way of resolving disputes without recourse to a trial. Having been accredited as a mediator in 2004, he has repeatedly found that mediation can be cost-effective, flexible and efficient. It can also lead to far more satisfactory outcomes than litigation for all parties to a dispute, both financially and in relationship and other personal terms. Toby has acted as a mediator, and has frequently used his knowledge and understanding of the mediation process and the tools of the mediator when acting as counsel in mediations and settlement discussions of all descriptions, from multi-million dollar multi-party disputes downwards. the plaintiffs (a corporate tenant and its insurer) in a multi-party claim for earthquake damage to a modern commercial building. This was a complex multi-million dollar claim in which at mediation there were some 45 people representing a total of about 10 parties. Toby Gee has more than 24 years’ experience as a trial lawyer and specialist counsel. He completed his training as a barrister in the Inner Temple, London in 1992-1993. From 1993 until 2013, he practised as a barrister at Crown Office Chambers in London, instructed by many leading UK firms of solicitors to represent insurers, other corporate entities, government entities and individuals in civil claims at all levels up to and including the Court of Appeal. Toby’s main specialisms are in insurance, commercial/contractual disputes, professional liability, medico-legal matters, product liability (medical and non-medical), engineering and construction, and health and safety. In 1997 Toby was a Pegasus Scholar at Chapman Tripp Sheffield Young (as it then was) in Wellington. While on a sabbatical from his London practice in 2005-2006, as well as working in the policy group at ACC he worked with several Wellington barristers on a variety of civil disputes. Advising the trustees of a trust managing the proceeds of a Treaty of Waitangi settlement on mediation and dispute resolution procedures. Toby is also an experienced negotiator, having been accredited as a mediator in the UK (ADR Group, 2004) and in New Zealand (LEADR, 2005). 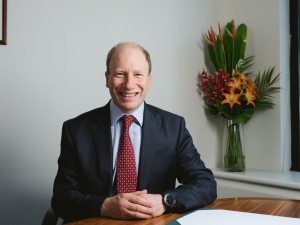 He was recognised as a mediator and Corporate Panel Member by the Dispute Board Federation in 2009, and as a mediator and dispute board member by TECBAR (the London Technology and Construction Bar Association) in 2011. In 2014-2017, Toby acted as a critiquer in the New Zealand Law Society’s High Court Litigation Skills course in Wellington, run by Paul Radich QC. In 2017 Toby moved from being Special Counsel at MinterEllisonRuddWatts in Wellington into independent practice as a barrister at Lambton Chambers. Toby also has significant governance experience through having been Chair of the trustees of UK charity Porters’ Progress UK (2007-2012), Deputy Chair of the the Lambeth Law Centre (2004), and a school governor at the Dulwich Village Church of England Primary School (2012-2013). His work has included public policy, assisting ACC in devising new policies on matters such as the strategic management of appeals, and leading the development and implementation of an ethical framework for ACC’s interactions with external entities. Toby is a member of the Inner Temple, and remains an associate member of Crown Office Chambers. Former contributing editor of Emden’s Construction Law (co-author of chapter on general constraints on building operations). Devised and then edited Cover to Cover, a quarterly magazine for the insurance industry, 2014-2017. Delivered continuing professional development courses for solicitors on civil procedure, commercial law, developments in personal injury law, defective premises, chronic fatigue syndrome, clinical negligence, pleading defences, product liability. Seminar to LEADR (New Zealand) on costs sanctions arising from a refusal to attempt mediation. Seminars to government lawyers, in-house counsel and senior executive/managers on subjects including legal professional privilege, health and safety law, reparation orders, cyber risks, mediation advocacy. Seminar to Health Law Committee of the New Zealand Law Society, on the effect of ‘top up’ reparation orders introduced by Sentencing Amendment Act 2014. Member of expert panels on cyber risks, for the National Cyber Policy Office’s national Cyber Security Summit in 2016, and for industry events run by the Insurance Council of New Zealand. Fire, employers’ liability and motor policy disputes. Sperm bank – use of sperm with chromosomal abnormality – coverage – medical malpractice policy – product liability policy. Policy disputes arising out of alleged fraud, material non-disclosure, etc. Member of team of counsel in Deutsche Rückversicherung v Walbrook Ins Co Ltd & Others  1 WLR 1017. Junior counsel in £1M Commercial Court insurance claim relating to loss of undersea tractor equipment; meaning of ‘days’ grace’. Construction of exclusion clause in public liability policy relating to property “in the charge of” the tortfeasor, after house fire. Motor insurance disputes arising in relation to policy coverage, Road Traffic Act and MIB insurance liability. Representing a national organisation and its insurer in a multi-party multi-million dollar complex dispute arising out of earthquake damage to a commercial Wellington building. Advising the New Zealand Insurance Council on industry guidance relating to the Fire Insurance Levy. Junior counsel for the successful defendant in Holliday Pigments v WBB. Supply of kaolin china clay – allegations: clay mineralogy out of specification, causing failure of chemical process for producing ultramarine blue pigment. £2.6M claim. Result: Claim discontinued shortly before trial. Represented the successful contractor Amey in LB Silica Sand v Central Bedfordshire Council / Amey LG Ltd. Landslip in quarry allegedly due to highway drainage maintenance works. Up to £3.4M claimed. Claim against highway authority and highway maintenance contractor. Negligence / Rylands v Fletcher/strict liability under s.100 of the Highways Act 1980. Ex turpi causa in relation to claimant’s alleged breach of the same section. Breaches of planning requirements. Whether an easement existed in relation to the relevant drainage. Geotechnical evidence – cause and severity of landslip. Result: After late vacation of two successive trial dates, claim struck out for non-compliance with order for security for costs. Alleged negligence in the supply / installation / upgrading of corona discharge equipment for the treatment of polythene film. £1M claimed. Finance company claiming return of loans under block agreement with CFA claims providers, c. £1.25M claim. “Battle of the forms” contractual dispute after destruction of railway maintenance equipment by vandals. Sale of goods, supply of services including skilled services. E.g. sole distribution agreement for computer hardware, design and installation of computer system. Contamination of wine bottling plant allegedly by defective water softener / absence of adequate filters – claim against manufacturers and designers of plant. Contamination of pharmaceutical powder during grinding. Escape of domestic fuel oil due to tank failure during delivery causing contamination and possible contamination of aquifer. Pipeline for sewage outfall, alleged defects. General construction; instructed as one of large team of counsel in Norwich Union v Schal (claim pleaded at £124 million – alleged professional negligence of construction manager, architects, engineers, quantity surveyors). Negligence of burglar-alarm monitoring company. Contractual chain. Duty of care to property owner where not in direct contractual relationship. Disputes relating to dairy cows (robotic milking machines; agistment of dairy cows on unsuitable ground). Disputes relating to wine industry (alleged wrongful transfer of water permit used for irrigating vines; allegedly negligent design of wine bottling plant causing contamination of wine; shattering sparkling white wine bottles). Advising an international company in relation to a substantial underpayment of Fire Insurance Levy. Commissioning of electronic control device for industrial electric motor. Fire allegedly due to incorrect programming of device lowering protection against fire due to other faulty components (£1.5M claim). Claim against water treatment engineers relating to water treatment services in tyre factory allegedly leading to boiler furnace tube collapse (£2.5M claim). Claim against engineers allegedly causing explosions in print-drying machinery. Cold-top electric furnace for lead crystal glass manufacture – claim against designers / suppliers – disintegration of allegedly unsuitable tiles (€2.2M+ claim). Representing a firm of solicitors in the NZ Court of Appeal, in relation to allegations that they breached the Fair Trading Act in relation to allowing property developers to use their trust account for the receipt of funds for property development that failed. Related advice in relation to allegations of dishonest assistance in relation to breaches of the directors’ duties to the companies, causing millions of dollars of losses to investors in failed scheme. Claims against surveyors for negligently overvaluing properties. Claim against lawyers for negligent advice in relation to covenants in property transaction. Group action against lawyers arising from negligent advice to c.150 plaintiffs in relation to industrial disease claim. Disciplinary proceedings: psychology, real estate agency. Representing doctors and hospitals in relation to malpractice issues including at inquests. Henderson v Feldbinder – Acted for successful German lorry manufacturer sued by UK employer alleging negligent design of handrail on tanker. Issues included whether compliance with German safety standard was sufficient. Snow & Rock v Bosch, Iveco et al – Acted for Bosch GmbH in relation to vehicle fire allegedly due to negligently designed / manufactured ABS unit. Toughened glass panels on new office building spontaneously shattering, claim against manufacturers of panels and against enamel paint manufacturers (£½ M claim). Vehicle fires allegedly due to design / manufacturing faults: Cars (2 manufacturers), lorries (2 manufacturers). Fires allegedly due to electrical faults in domestic appliances (eg toaster, washing machine, Beko fridge-freezer). Industrial glass-handling machine severing engineer’s hand – allegedly defective system of electronic sensors. Fire in sauna at leisure centre – claim against sauna designers / suppliers. Exploding paint canister causing blindness. Finger amputated in car park ticket vending machine. Acted for manufacturers. Held: Pre-marketing testing inadequate. Adequate testing would have revealed risk of injury, which could easily have been removed. However, actual risk was so low that a reasonable manufacturer would not have taken steps to reduce it if known. Therefore claim failed. Medtronic Sprint Fidelis lead for ICD (Implantable Cardioverter Defibrillator). Represented the claimant against Medtronic. Claim settled. Intervertebral disc prosthesis – alleged defects in design / manufacture causing severe back problems – development risk defence – skilled intermediary. Represented manufacturer. Claimant represented by Barry Cotter QC. Claim settled at mediation. Incorrect knee implant – cause of long-term knee problems. Fertility clinic – sperm bank – use of sperm with chromosomal abnormality – liability in relation to resulting foetuses / babies. Representing manufacturer and distributor of robotic milking machines alleged to have caused mastitis epidemic in dairy herd. Advising manufacturer in relation to New Zealand recall of car-roof-mounted cycle racks. Swain v (1) Geoffrey Osborne Ltd (2) PJ Browne Ltd  EWHC 1108 (QB);  EWHC 3118 (QB), Foskett J. Represented Geoffrey Osborne Ltd – Claimant allegedly slipped on muddy pavement opposite a building site. He sued the main contractor Osbornes and the groundworks subcontractor Browne. Both were found liable at trial. In contribution proceedings Osbornes obtained a full indemnity from Browne, together with indemnity costs from the expiry of a Part 36 offer. Hopps v Mott MacDonald/MOD  EWHC 1881 (QB) (led at trial by Mark Turner QC) – Claimant engineer was working in Basra, Iraq. He was injured when a road-side bomb was detonated near the Army Land rover in which he was travelling. He sued his “employers” Mott MacDonald and the MOD for failing to provide him with an armoured vehicle. £1M claimed. Issues included proper scope of expert evidence, “security” evidence, ballistics expert evidence, whether the reconstruction of Iraq’s infrastructure was a “desirable activity” within the meaning of s.1 of the Compensation Act 2006; whether that section has retrospective application. Aktas v Adepta  EWCA Civ 1170;  2 W.L.R. 945] – Junior Counsel – Abuse of process, failure to serve of claim form, second set of proceedings. Effect of Horton v Sadler  1 AC 307 on Hashtroodi v Hancock  EWCA Civ 652 and other cases. Chinery v EWE  EWCA – Junior Counsel – Liability of subcontractor who creates a dangerous trap, in respect of injury to another subcontractor’s employee (rendered paraplegic). Representing ACC on appeals at District Court and High Court level. Malpractice claims relating to many descriptions of alleged fault on the part of doctors and hospitals, including complex surgical claims, in the UK and Hong Kong. Instructed by National Health Service Legal Authority in catastrophic clinical birth injury claims. Acted for the claimant in TTT v Kingston Hospital NHS Trust, Owen J, 25.11.11 – catastrophic birth injury; interim payments £1.5M. Other examples: failure to diagnose cerebral abscess leading to catastrophic brain injury; failure to identify and remove foreign body inside skull leading to brain damage; late diagnosis of cancer; failure to diagnose congenital dislocation of hip; failure to diagnose infection causing osteoporosis; complex spinal operation causing stroke and neurological complications; novel operation on spine allegedly unreasonable; severe brain and physical damage following perinatal operations for congenital diaphragmatic hernia; breast augmentation surgery – use of wrong-sized implant; late diagnosis of neonatal meningitis; MRSA infection.